Oh Singapore, land of my birth and residence for most of my 30-odd years of life. So I suppose I should know you well. But really, my Singapore is one from the 1980s onward, and having lived here in the US for a few years now, perhaps I don’t know Singapore as it is today anymore. It is after all a country that changes so much in such a short span of time. Buildings get pulled down and replaced, roads appear out of nowhere. Shops and restaurants pop up and fade away so quickly. I’m likely to get lost the next time I visit. But one thing I do know, vaguely that is, is Singapore’s short history, as we were made to learn it in secondary school, although in a dull, bored-out-of-the-eyeballs kind of way. So it was with a little trepidation that I picked up A Different Sky from the library, for Indian-Swiss writer Meira Chand takes us through 1927 Singapore and the unrest stirred up by the communists, through to the horrors of WWII and the subsequent Japanese Occupation of Singapore, then to liberation and the promise of independence. We first meet our three main characters on a trolley in Kreta Ayer, which has been stopped by communist demonstrating during the second anniversary of Sun Yat-Sen’s death. Young Howard is with his anxious mum Rose, little Mei Lan is on an outing with her amah Ah Siew, and Raj is heading back to the cloth shop in Serangoon Road where he works. Their lives are so different, and Chand makes full use of her disparate characters to illustrate the broadness of Singapore society. Mei Lan, born into an elite Chinese family whose fortunes have now fallen. Howard, a Eurasian, furious at the way his people are treated by the colonial British. Indian-born Raj, an enterprising youth interested in working hard and making his fortune. Their lives intertwine in these tumultuous years of change, although early on, the different races tend to keep to their own kind. Here I have to interrupt and add that Singapore was founded by the British in 1819 and became a major trade city, attracting many settlers from Malaya and the rest of Asia, especially China and India. During World War II, Singapore was occupied by the Japanese from 1942 to 1945. After the war, Singapore reverted to British control, with increasing levels of self-government being granted. It eventually became an independent republic in 1965. Yet for all it’s lush sweaty historical details, it is hard to really sink into this book. Perhaps its (too) many characters, and the way they are put together to showcase different aspects of Singapore’s history and its diversity, put me off a little. It felt a bit too heavy-handed. Still it makes a great introduction to Singapore, its history and its people. This is my sixteenth read for the Global Women of Colour Challenge (challenge page). 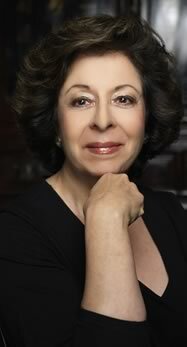 Meira Chand is of Indian-Swiss parentage and was born and educated in London at Putney High School. She studied art at St. Martin’s School of Art and later specialised in textile design at Hammersmith Art School. In 1962 she left England to settle in Japan with her Indian husband. Although she spent several years in India in the early 1970s, she afterwards returned again to live in Japan. In 1997 she moved to Singapore, where she currently lives. Meira Chand’s multi-cultural heritage is reflected in her novels, which explore issues of identity and cultural dislocation. Five of her novels, The Gossamer Fly, Last Quadrant,The Bonsai Tree, The Painted Cage and A Choice of Evils, are all set in Japan. Contemporary India is the location of House of the Sun that, in 1990, was adapted for the stage in London where it had a successful run at Theatre Royal Stratford East. Also set in India, but in Calcutta during the early days of the Raj, A Far Horizon considers the notorious story of the Black Hole of Calcutta. 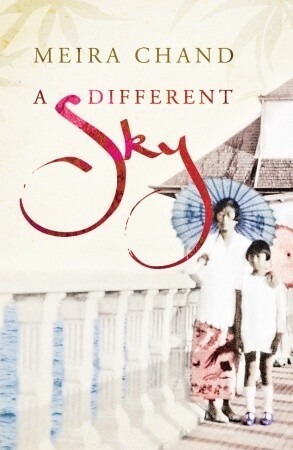 Her new novel, A Different Sky takes place against the backdrop of colonial pre-Independence Singapore. The book examines an era that includes the Second World War and the subsequent Japanese occupation of Singapore, and also the rise of post-war nationalism in Malaya. Interesting. You have gotten me curious. I don’t know anything about Singapore, thanks for bringing this book to my attention! Reading narratives like this has always been a good way for me to learn about other cultures and countries. Much better than a dry history book! Thanks for the great review. Perhaps it is best to be read as a history book than a novel. I read a few pages and I thought it was dense and somehow I couldn’t continue with it (and someone reserved it after that, so I had to return the book). but I will read it as soon as I have the chance again. Ugh that’s one thing about library books, when some other eager reader puts a hold on it! I don’t quite know whether to recommend this book to you or not! Especially since so much good writing has emerged from Malaysia/Malaysians of late, I think this pales in comparison! Thanks for alerting me to this book. Coincidentally there was a review on Shelf Awareness too. And I checked the Singapore library e-book catalogue and there it is. I’ll download it once I’m done with my current e-book – as usual too many books!